With many of the Swoosh Brand’s most classic silhouettes like the Air Force 1 and the Air Max 97 getting in on the fall flannel fun, it was only a matter of time before the iconic Nike Cortez received a seasonal plaid makeover as well. The special Cortez’s upper is dressed in a red and black color combo that features two distinct patterns: a standard small checked makeup on the lateral side and a more traditional tartan plaid with extra white detailing on the medial side. The duo of patterns is held together by black leather overlays on the toe cap and throat, a large white midfoot swoosh, red detailing on the heel collar, and a black suede heel piece. The Cortez’s classic midsole and ridged outsole are then dressed in a stark white to complete the look. If you’re a fan of flannel — or you just love these classic Nike shoes — you can look for these Cortez to release in Japan at atmos November 1st for ¥6,300, roughly $55 USD. Not in Japan? A global release on Nike.com is likely to follow later this season as well. 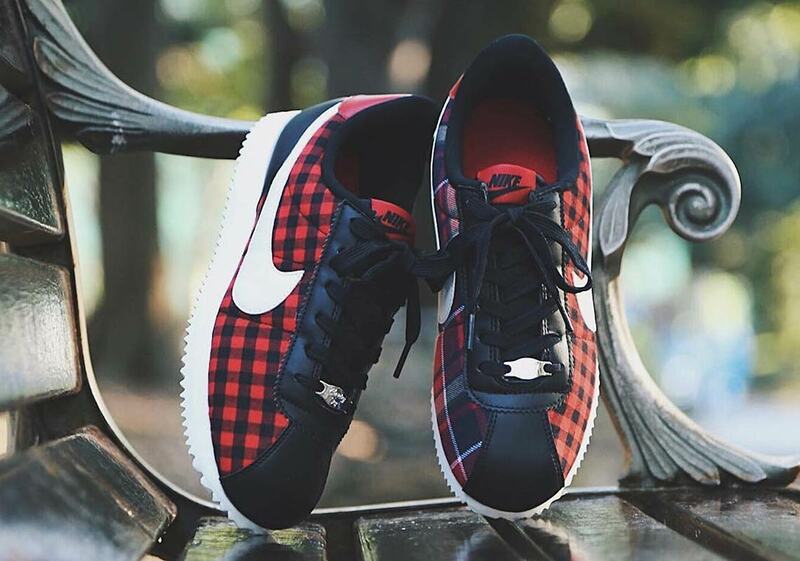 The post The Nike Cortez Gets Dressed Up In Plaid appeared first on Sneaker News. Previous articleShould We Expect The Tom Sachs Nike Mars Yard Overshoe To Release Soon?